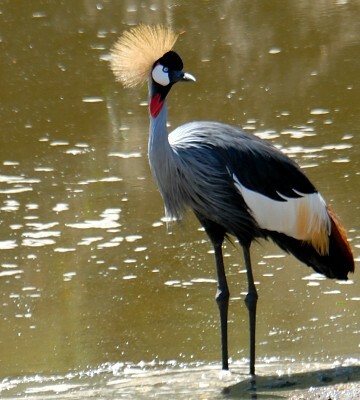 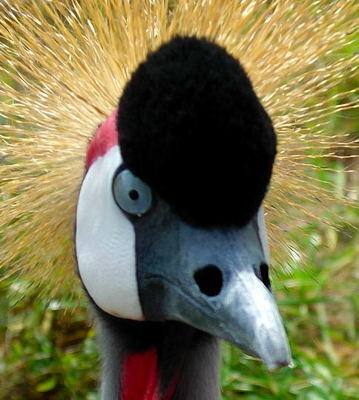 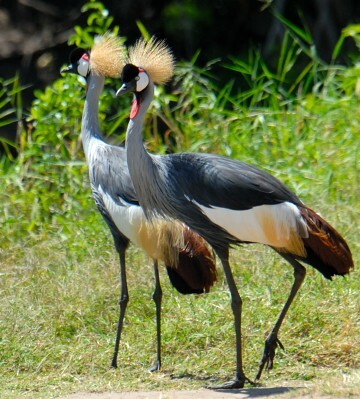 The grey-crowned crane is common and widespread in open grassland although numbers are likely declining in Tanzania because of the wild bird trade. 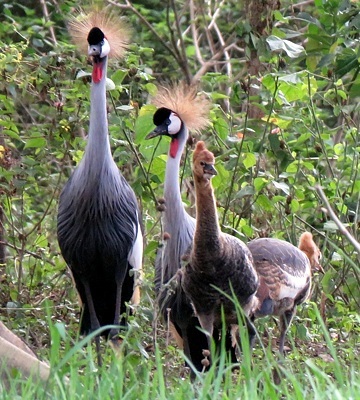 The upper photo is courtesy of Jim Zotkiewicz; the 4th row photo (Tarangire, 2-18) is courtesy of Michael Harris; the 6th row photos (Mt. 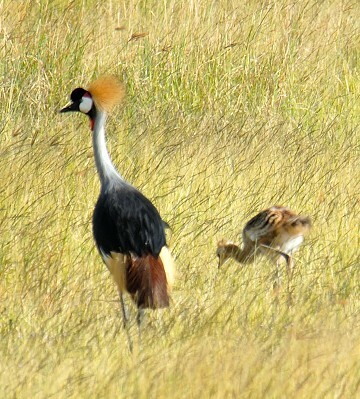 Meru Game Lodge, 3-19), courtesy of Brad Johnson. 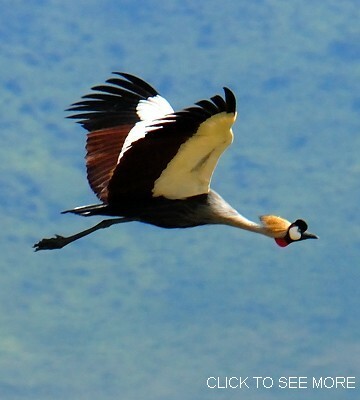 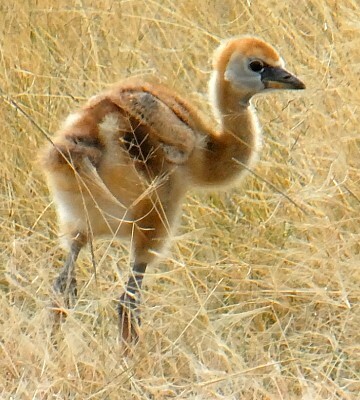 The other photos were taken in Tarangire, Serengeti and Ngorongoro Crater. 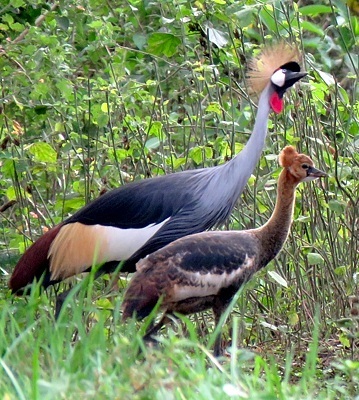 The slideshow includes photos of displaying and flying birds, juveniles and chicks.